Nyusoft Solutions LLP is looking for WordPress Developer at Ahmedabad. For more details contact: 9426012517 & 07926582588. Good knowledge of Swift 3. Magneto IT Solutions is looking for WordPress Developer at Ahmedabad. PHP developer, Frontend developer, Backend developer, Node Js developer, System administrator INTERVIEW DATE: AHMEDABAD – 17 February 2019. B-Flux Technology Pvt Ltd is looking for WordPress Developer at Delhi. Candidate should have good grip in core PHP & MySQL database, part time / full time/ project contract all can share their profile. 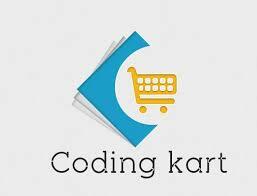 Codingkart is looking for WordPress Developer with 1 to 2 years of Experience at Indore. Only 5 days Working Culture. Sani IT Consultant is looking for Talented, Creative and Self Motivated members to join in their WordPress Developer Interns team.for the following position for 3 months and if you perform well, you will get hired as a permanent employee after your internship in our company.